Educational Qualification: The desirous and keen individuals must be Retired Railway Employees. The Maximum age limits of contestants should be below than 65 Years As on 01-12-2019.The reserved categories shall be applied in accordance with the instructions or orders issued by the government. Salary And Payscale: After getting the selection for the vacant Posts, a pay band of Rs. 5200 – 20,200/- With 1800/2800/- and Rs. 9300 – 34,800/- With 4200/4600/- Grade Pay (According to the Posts) shall be offered to the candidates. 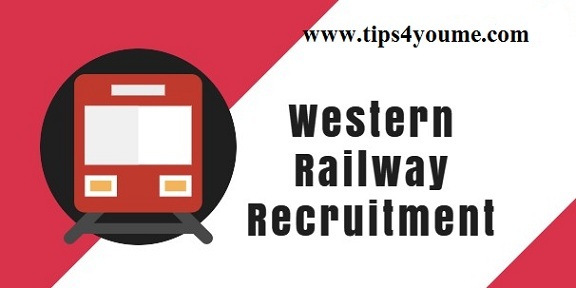 Contenders willing to apply for Western Railway vacancy should visit to the official website that is http://www.wr.indianrailways.gov.in.Start to fill the online application form as per the instructed guidelines and upload the scanned copies of required documents within given time period by using the browse button.Click on the “Submit” button and take the print out for further references. Interview Date : 18-06-2018 to 18-07-2018.